When you’re looking for a new HVAC system for your house or office, it can be challenging to know where to start. Given the number and variety of brands in the market, and the myriad options for models and capabilities offered, selecting the right system for your needs can be an overwhelming task! If you’re looking for a reliable, efficient and trusted name in the market, you may want to consider Rheem. As well as being a household name in the business, they offer excellent warranties and industry-leading customer service. This ensures that when you’re opting for this brand, you’re assured peace of mind when it comes to technical issues. 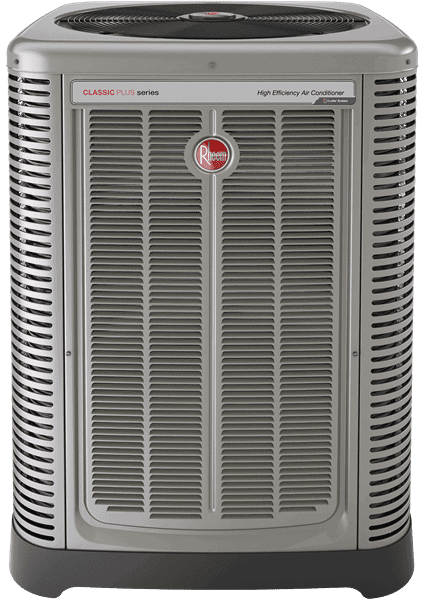 In 1998, Rheem introduced the Modulating 90 Plus gas furnace, which is extremely quiet, maintains the temperature within a ½ degree of the thermostat set point, and eliminates hot and cold spots effectively. 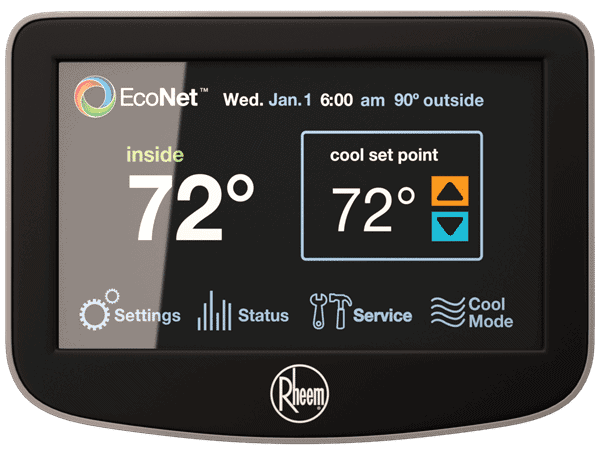 Rheem also innovated in the smart home market by introducing EcoNet in many of its products. This is newly-developed technology that allows Rheem Heating, Cooling and Water Heating products to communicate with each other on one integrated network. The EcoNet Smart Home System allows homeowners to control and manage their Rheem products from anywhere via a mobile app or through a wall-mounted Control Center. EcoNet notifies homeowners and contractors when the equipment needs service and provides timely diagnostics in easy to understand language. Rheem’s line of EcoNet-enabled water heaters is compatible with the Nest Learning Thermostat, Wink and Logitech’s Harmony hub. The new Rheem Prestige Series EcoNet-enabled Modulating Gas Furnace is the industry’s first patented heating unit featuring a 97 percent AFUE rating. The variable-speed blower motor runs at a wide range of speeds to deliver better humidity control, while using less power. The patented heat exchanger design improves airflow, which reduces operating sound by 20% to deliver the quietest, most efficient gas furnace. In 2017, Rheem launched its line of Rheem and Ruud branded ductless Mini-Split Heat Pump units. These include some of the most efficient and advanced single-zone and multi-zone heat pumps currently available for residential applications. Benefits of these appliances include being easy to install and maintain, quiet operation, precise temperature control and hassle-free filter access. Rheem products usually are appreciated by customers for their quiet operation, efficiency and performance. However, many customers that own Rheem products complain of poor customer service. Also, the product warranty only covers replacement of parts and not labor. The durability of their products also causes some customers to complain, as they need to pay for the cost of contractors replacing and installing the new parts..
Let’s take a look at some of the popular Rheem models available in the market. 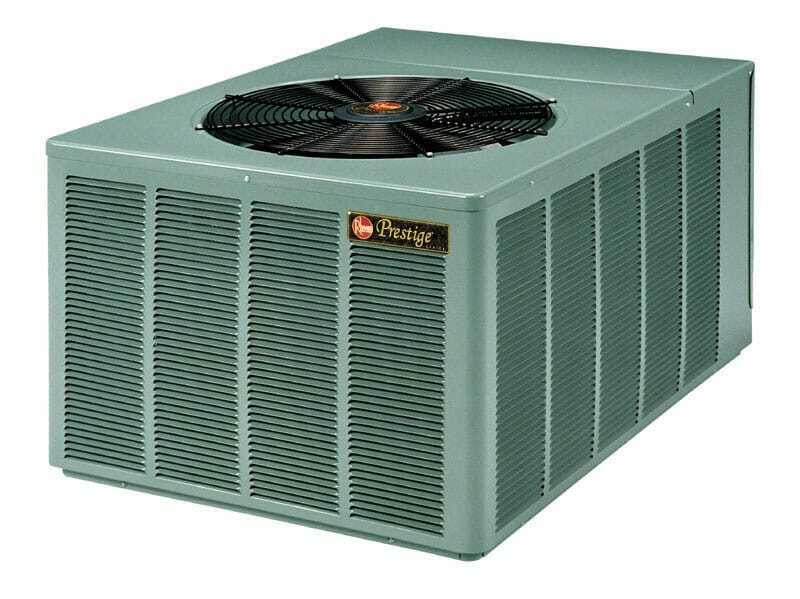 The Classic is a single-stage AC model known for its high efficiency and durability. It is available in various sizes ranging from 1 ton to 5 tons. It has a SEER rating of 16.5, which means it is very efficient compared to the industry standard rating of 13 SEER. The model is priced around the market average. The Prestige RANL-JEZ has a two-stage compressor that is performs better than a single-stage unit. 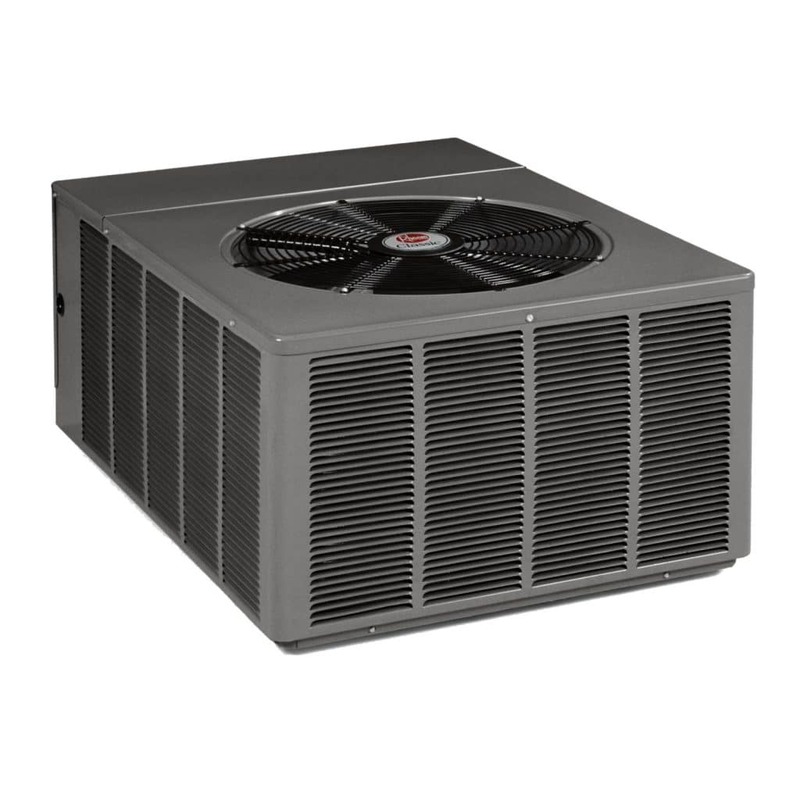 It has an 18.5 SEER energy rating model that provides two-stage cooling, well above the industry standard. The RANL-JEZ model controls the flow of the air to ensure maximum comfort. To minimize unwanted moisture, it features an on-demand dehumidification feature. This model also has a Comfort Control communicating system which monitors the operation of the air conditioner, protecting it from very high or very low pressure. This helps differentiate it from other brands. The RA20 Variable-Speed Air Conditioner efficiently adjusts to a home’s cooling needs, and is also able to deliver humidity and indoor air quality control that standard on/off single-stage designs cannot. It comes with EcoNet which automatically configures the system’s airflow for optimal performance. The efficiency is up to 20 SEER/13 EER, so it’s highly efficient. It runs quieter, and adapts to surrounding conditions with more precision and efficiency, avoiding temperature fluctuations that are sometimes associated with standard single-stage systems. It is covered by a 10-year limited warranty on parts and conditional parts replacement. It boasts an Estimated Lifetime Savings of $3,270. The RA17 is a two-stage unit that modulates between two speeds – high and medium. It will operate on medium speed most of the time, providing more precise temperatures and lower humidity while also reducing energy use. The system only operates on high when necessary during peak warm weather conditions. It has efficiencies up to 17 SEER/13 EER and is EcoNet enabled. It is designed for quieter operation. It is available in various sizes like 2, 3, 4 and 5 tons. It has a limited warranty with conditional unit replacement for 10 years and also covers parts for 10 years. The RA13 is a single-stage unit which is quiet and durable. Its cooling efficiency goes from 13 to 15.5 SEER / up to 13 EER, which is comparable to the industry standard. It is available in 1.5, 2, 2.5, 3, 3.5, 4 and 5 ton sizes. It has a 10-year conditional parts warranty. First, buy in the winter. Demand for air conditioners is lowest at that time. Due to the low demand, retailers have excess stock in their inventory. To encourage sales, appliance stores usually offer discounts to incentivize buyers to make a purchase during the off season. To get an off-season discount from the HVAC contractor, wait until fall or spring to install the new system, as the contractors are not as busy. 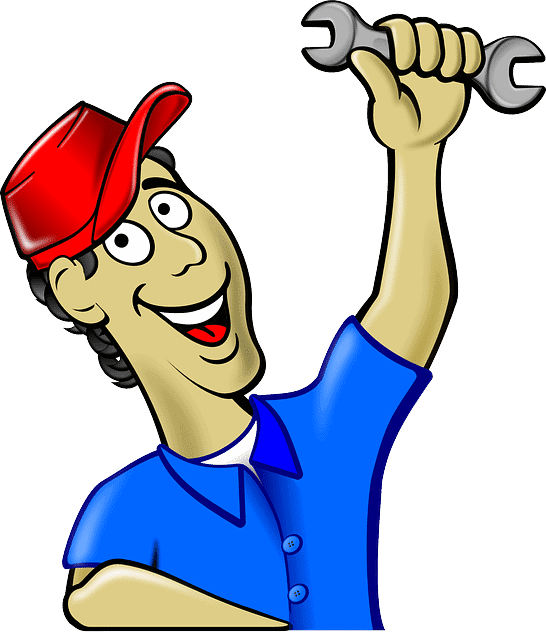 Second, when it comes to the installation of your AC system, do not compromise on quality. 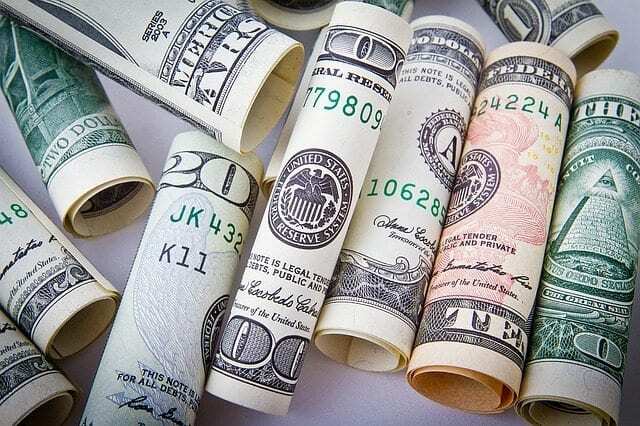 You may save a few dollars by picking a cheaper installer, but the money you save will be a lot less than the extra bills you may have to pay due to a shoddy installation job. The cheapest quote may not necessarily be the best, especially if the contractor has many dissatisfied customers on Angie’s List and Yelp. It may be a good idea to also check the ratings on the Better Business Bureau website, so that you know what kind of service and quality you can expect. Third, you should check online to see if there are any offers, rebates or incentives being given by your state or local utility for replacing an outdated HVAC system with a newer, more efficient one. In case they are both offering a promotion, you should be able to stack both offers, thus saving yourself a good chunk of money. You should also check with the leading HVAC manufacturers to see if they offer any rebates. If you’re really lucky, you may be able to score a triple discount with the manufacturer, the state and the local utility giving you rebates. Finally, ask for at least 3 bids from various contractors before you make the decision. Ask them to factor in any applicable tax rebates and state incentives on efficient appliances into the bid. You might even ask more than 3 companies for quotes, depending on how thorough you want to be. Keep in mind that you may need to wait a few days or weeks in order to get a quote, so unless it’s an emergency, start getting quotes well in advance of when you expect to get the new system. Rheem Manufacturing Company is an privately-held American manufacturer headquartered in Atlanta, Georgia. The company has international offices in Canada, México, Brazil, Argentina, Australia, New Zealand, Singapore, the United Arab Emirates, and Chile. Rheem was founded in 1925 by 2 brothers, Richard "R.S." Rheem and Donald "D.L." Rheem. Rheem acquired the Republic Steel package company, which allowed it to enter the business of water heating. In 1931, the company acquired the John Wood Manufacturing Company of California, which produced automatic gas storage water heaters. Rheem became the largest manufacturer of automatic water heaters in the United States in 1941. The company played a significant role during World War II by contributing towards wartime production, including building ships and aircraft parts. It got into central air conditioning and heater systems for homes in 1956, with the introduction of the “Rheemaire” and went on to make this business one of its largest focus areas. Rheem purchased the Ruud Manufacturing Company in 1959. 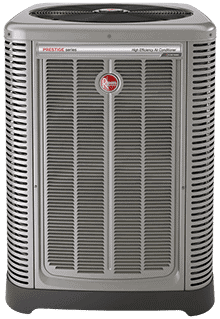 Rheem started making heat pumps and HVAC units for residential applications in 1970. A decade later, Rheem introduced the Richmond Water Heaters brand, which was aimed at home-improvement stores and hardware stores. Rheem was acquired in 1984 by Pace Industries, Inc. A year later, the company acquired Raypak, Inc., then started expanding into new areas such as pool heaters and commercial boilers. Rheem is owned by Paloma Industries, Ltd., a privately-dheld Japanese company with headquarters in Nagoya, Japan. Rheem also has subsidiaries such as Ruud Manufacturing Company, Raypak, and Prostock. The company’s premium brands include Rheem, Raypak, Ruud, Eemax, Richmond and Splendid, as well as commercial refrigeration brands Russell, Witt, ColdZone and Kramer, which are part of the company’s Heat Transfer Products Group (HTPG) division. Ruud has product offerings covering residential and commercial heating, cooling, conventional storage-style water heaters, tankless water heaters, solar water heating systems, replacement parts and accessories for all categories. Raypak manufactures residential pool and spa heaters, commercial heaters, boilers and tanks. Prostock is a network of independent HVAC parts outlets that stock PROTECH™ brand parts as well as all of the industry’s most trusted brands. 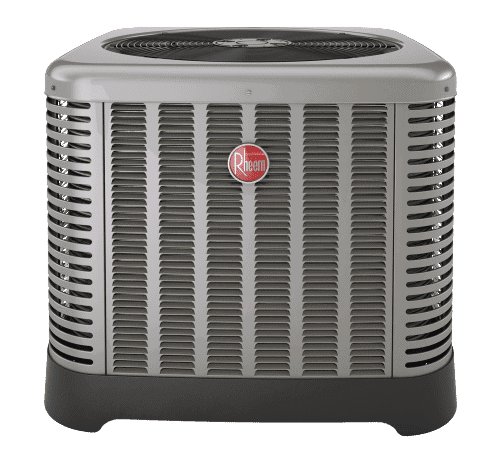 The Rheem brand is a well-known HVAC manufacturer, with a good reputation in the market. With over 90 years of history operating in the US, the company is ideally positioned to serve its customers in different markets. You might choose Rheem for their innovative technologies like EcoNet-enabled ACs, or you may wish to have quiet and efficient products that provide peace of mind. Do refer to our tips for selecting the right model for your house, and how to save money when buying the new appliance.